The Life Fitness Activate Series treadmill is everything people need for a great workout. 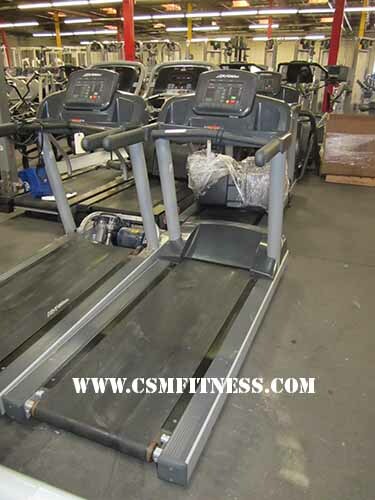 This highly durable, reliable tested cardio equipment makes the most of any space and helps exercisers do the same. This treadmill reduces knee and joint stress by up to 30% more than exercising on non-cushioned surfaces. It also decreases the chance of injury and keeps runners feeling great on or off the the treadmill. This treadmill also includes heart rate monitoring. The digital heart rate monitoring hand sensors are placed on the sides where the hands rest to provide accurate heart rate monitoring. This console has simple clear controls that offer exercisers clear direction for quick start programming workouts, 9 different workouts as well as a workout summary with valuable feedback.